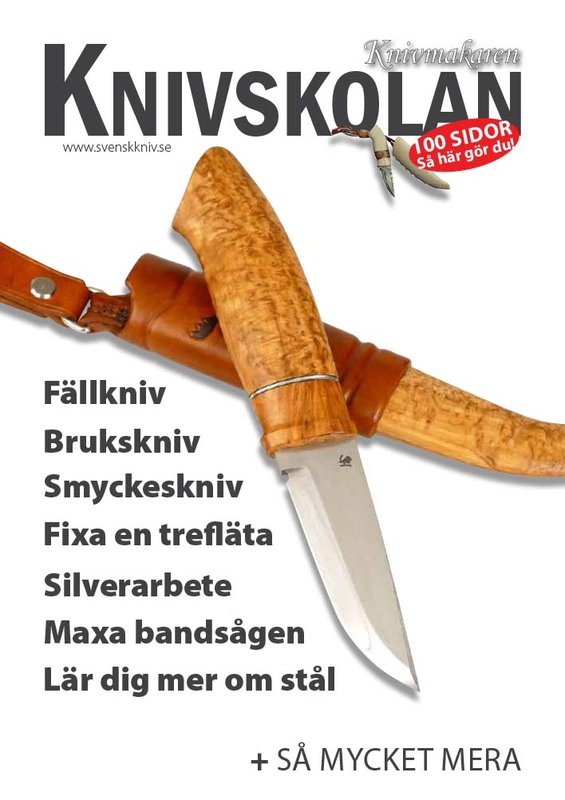 The Swedish Knife Association is a nonprofit organization open to all those who have an interest in knives and knife making throughout Sweden and in other countries as well. The association was founded in 1988 by many knife enthusiasts, blade smiths and material suppliers. The association has approximately 1,500 members, from Sweden, Norway, Denmark, Finland, France, Germany, Holland and USA. Furthermore, members have the opportunity to attend trade shows, competitions and seminars, as well as meet other knife makers to share experiences and exchange ideas in the art of knife making. Member magazine, Knivmakaren; published four times a year and contains several articles, images. Yearly knife making school with provides information and illustrations on how to make a knife from scratch to a finished work. Discounted member prices on courses arranged by the association. Access to timely information and rewarding discussions on our website. In addition you will find information on this website regarding knife competitions, regional knife shows and links to other knife clubs, skilled knife makers and suppliers of materials. You can read and participate in our website’s members’ forum, get great tips and contacts. Thank you for visiting our web site. It will be updated as new information is received. In the meantime have fun, enjoy the great hobby of knifemaking and keep your tools sharp!